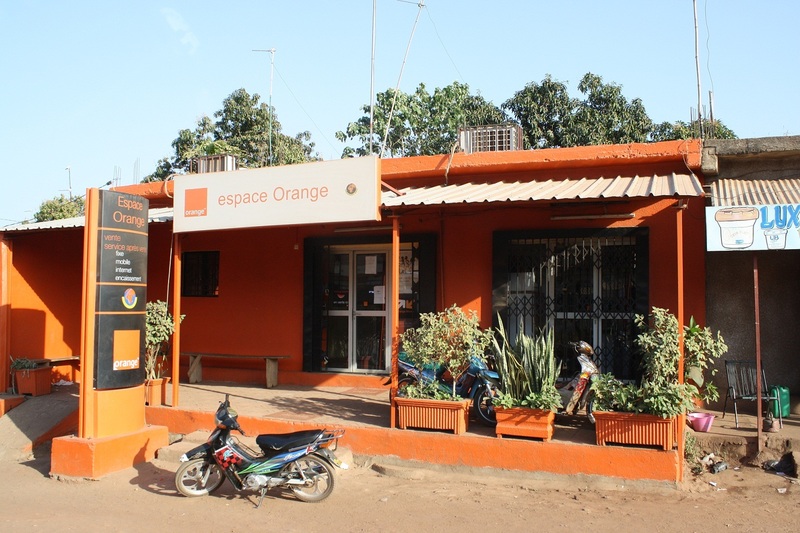 An exciting new development is the launch on 1 April in Bamako, Mali of Sènèkèla – a market price and agricultural information mobile service provided by IICD and Orange Mali, with the support of mFarmer (GSMA). The solution comprises an SMS/USSD information service and a call centre, serviced by specialised agricultural experts. My research in Ghana, suggests that West African farmers are reachable more readily via communication modalities, such as voice, which are congruent to their rural oral traditions. Therefore, I expect that complementing the SMS/USSD channels with a call center will raise the usability and attractiveness of Sènèkèla for rural stakeholders. Additionally, access to trained service operators is likely to increase farmers’ levels of trust in the information provided to them via SMS/USSD. The service was developed through a complex partnership between technology providers (Orange Labs, Orange-Mali, GSMA), development partners (IICD, RONGEAD) and agricultural content providers such as the Malian Institute of Rural Economy (IER). Content quality is a shared concern with IICD taking responsibility for market price data collection; with RONGEAD providing market analyses and tips; and with IER ensuring the quality of the agricultural content delivered via the call centre. During the pilot phase the service was limited to he regions of Sikasso and covered only a few crops. With the recent launch, the partnership is entering a commercial phase with increased coverage and an increased range of agriculture information services. The service relies on the combined SMS/ USSD and a call centre channels, using an operational model familiar to me from the of Esoko in Ghana. The 24-hour service provides market price information from different markets in the regions of Sikasso and Koulikoro; and information on crops such as corn, shea butter, onion, cashew, shea nuts, potato, sweet potato, rice and millet. Message services are delivered via a USSD menu on Orange Mali’s mobile network. The call centre staffed by agricultural advisers is reachable by the short number 37333 and the short code #222. The content for the service is generated via wide data collection efforts on food prices; as well as, national and international market trends. M-Pesa pioneer and Vodafone’s managing director of mobile money, Michael Joseph, has told Mobile World Live of his frustration at the way in which operators have tackled mobile money deployments, claiming the industry has been held back by a lack of long-term investment. via Vodafone’s mobile money pioneer reveals frustration at industry progress, Latest Videos | Mobile World Live. Amazing view of FB’s accessibility strategy for users of all types of devices. via Facebook’s plan to find its next billion users: convince them the internet and Facebook are the same – Quartz. Think African economies and you may think commodities, like oil and gas. But it may be time to start thinking tech innovation.Countries around the continent have identified technology as a key weapon in the battle to boost prosperity – and that has sparked a tech revolution. The continent’s biggest economy has sky high ambitions. South Africa is a serious contender to be home to a massive deep space telescope project called the SKA – or Square Kilometre Array. If the country beats off competition from Australia, its aerospace industry would receive a massive boost. In fact, science and technology minister Naledi Pandor says the project would be “the largest science-based capital injection” Africa has ever seen. That could mean more jobs and training in a cutting edge sector. But Africa’s tech revolution could run out of steam unless it produces a new generation of innovators. That is why Kenya is taking steps to develop the talent that could help it get ahead of the game. It is doing so with projects like m:lab – a consortium of stakeholders, including Nairobi University, which aims to hothouse talented mobile application developers. Manager John Kieti says he is convinced Kenya is now a major world technology hub. “[The mobile] is much cheaper to get, plus it can be used outside where there is no infrastructure like power,” he says. But it’s not enough just to come up with good ideas – m:lab encourages innovators to focus on “demand driven” applications so they can be turned into viable businesses. Kariuki Gathitu is one of the hottest properties in Kenya’s tech sector. 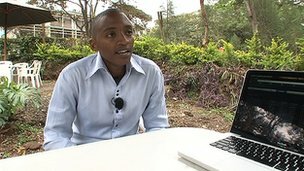 He is a 27 year old software developer who has come up with an application to build on the country’s already sophisticated mobile payments market, called M-Payer. It streamlines the whole process from start to finish and so aims to benefit consumer and business operator alike. Mr Gathitu demonstrates how subscribers can pay bills, receive cash and transfer funds with just a few taps on a mobile, and cash will clear in minutes, not hours or days. M-Payer claims it can end the ‘cheque in post’ culture that has ruined many small African firms, often operating on tiny margins, with little or no access to bank credit. But the revolution is not only happening in Kenya. Right across the continent, developers are coming up with applications designed to reflect local needs. In Ghana, it is now central to the health of both companies and individuals. The country has no shortage of enterprise, but smaller operators can struggle to gain access to wider markets. And that access can make the difference between stagnation and prosperity. One company in Accra is itself making a living by using technology to boost the prospects of other businesses. 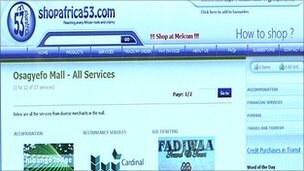 ShopAfrica53 is a kind of web-mall – advertising goods and services from a range of small businesses in Ghana. This means the tiniest and most remote operator now has access to an international market. The website also handles logistics like collection and delivery of goods, and takes payment on behalf of the vendors. The technology being used by ShopAfrica53 can be a lifeline for small entrepreneurs ranging from tailors to artists. IT is even being used to protect the health of individuals by tackling the potentially deadly problem of fake medicines. An application called mPedigree allows you to check the authenticity of drugs. You simply examine a special verification code on the bottle or packaging and send it, via free text, to a central online registry. An automatic response confirms whether the product is the real deal. So far, only two of Ghana’s major pharmacies have actually joined the system, but mPedigree says others have expressed interest. “The drug industry in Ghana is worth about $750m (£465m) a year,” says mPedigree’s Selorm Branttie. So whether it is fighting fake medicines or developing cutting edge telescopes, it’s clear that Africa’s technology is increasingly important in changing the lives of people across the continent. via BBC News – Africa’s business technology revolution gathers pace. The Ghana Cocoa Board COCOBOD in partnership with Hershey Company and the World Cocoa Foundation WCF has launched a new mobile telephony system dubbed “CocoaLink – Connecting Cocoa Communities” to deliver timely farming, social and marketing information to cocoa farmers to improve their income and livelihoods. Through this programme, cocoa farmers will receive and share practical information with experts on new farming techniques, crop disease prevention, post-harvest production and crop marketing through voice and SMS text messages delivered in their local languages or English. Cocoa farmers across the country are expected to text the word COCO to short code 1980 at no charge or be registered by an agriculture extension agent to join the link. Cocoa farmers in 15 communities in the Western Region are participating in the pilot programme with each participating community having a local agriculture extension agent and on-the-ground trainers to ensure a successful programme. The programme will reach more than 8,000 cocoa farmers in the country and it is expected to grow to reach 100,000 farmers within three years. Speaking at the launch, the Minister for Employment and Social Welfare E.T. Mensah commended COCOBOD and it partners for giving meaning to corporate social responsibility. He said “Gone are the days when corporate social responsibility was just a piece of rhetoric intended to placate environmentalist and human rights campaigners. Hershey through CocoaLink project has given practical meaning to corporate social responsibility as a facet of business”. E.T. Mensah pledged his ministry’s support in ensuring a successful implementation of the programme and appealed to cocoa farmers to send their children school. Present at the launch were Mr. Tony Fofie, CEO of COCOBOD; Mr. Andy McCormick, Vice President of The Hershey Company; Charlie Feezel, Education and Programmes Director, World Cocoa Foundation and some farmers. via Ghana News :: COCOBOD launches CocoaLink; a new extension service for cocoa farmers ::: Breaking News | News in Ghana | business. The annual report of MTN Ghana revealed that the company saw a 9% increase in subscribers as of December 2010, bringing the number to 8.7 million. According to MTN, the increase was largely driven by the introduction of new price plans and a revision allowing subscribers to view discounts in monetary terms rather than percentages. The report also revealed that MTN Ghana’s performance was encouraging, considering aggressive competition through headline tariff reductions. SIM card registration has also had an impact. Revenue increased by 14% ahead of subscriber growth, mostly due to increases in airtime and subscription revenue. SMS revenue also increased significantly, contributing 5% to revenue. According to Phuthuma Nhleko, MTN Group President and CEO, the Group’s strong operational performance was underpinned by a 22% increase in subscribers to 141.6 million from 116.0 million in the prior year, as well as improved efficiencies due to various cost initiatives and despite higher levels of mobile penetration, aggressive competition and increased regulatory requirements. MTN continued to maintain network quality and capacity and to offer attractive segmented value propositions to customers. As I’ve been settling down in Ghana and struggling to find the time to start posting more often. Luckil y, an invitation from the Esoko blog managed to get me to focus and write something coherent on MIS topics again. I am re-posting the sections, other than the introduction. If you are reading this, you’d know who I am. I prefer to consider the broad topics of Market Information Systems MIS, Warehouse Receipts Systems and Commodity Exchanges in Africa within the context of the intermediation theory of the firm. According to this theory see Spulber 1999, intermediaries emerge within the space of decentralized trade due to the encountered transaction costs. Firms providing agricultural market information alongside other services exist in Africa because decentralized exchange with agricultural commodities is plagued by transaction costs. Intermediated exchange emerges as a stable form of organization because intermediaries are able to economize on transaction costs and deliver net gains from trade, in excess of the gains obtainable from direct exchange. In considering MISs, Warehouse Receipt Systems and Commodity Exchanges as intermediaries, it is clear that some of these services are involved in more extensive intermediation than others. MISs often define their role purely as that of alleviating market price information asymmetries. MISs deliver mobile price information to farmers, leaving the bargaining and the details of the transactions to the farmers to sort out for themselves. To say the least, in the absence of consistent grading and sorting practices in many value chains in Africa, verifying the correspondence, between the quality of the commodities the price information refers to and the quality of the commodities being traded, becomes a non-trivial matter. By certifying the quality of the commodities and the identities of the buyers and sellers, Warehouse Receipt Systems go one step further in addressing the transaction costs present due to lack of communication between producers and buyers. Commodity Exchanges go even further by providing an auction mechanism for reaching agreement on the terms of trade. As market-making intermediaries, they determine the mechanism of exchange and institutionalize that mechanism. Commodity Exchanges provide the market microstructure for the transactions between the buyers and the sellers. The market microstructure includes the details of the process through which the exchange occurs. By contrast, the market microstructure on which MISs rely tends to be the product of recurring, customary behaviors on behalf of the buyers and the sellers. The institutions governing their transactions are informal and based on relational norms, rather than formalized. In considering MISs, Warehouse Receipt Systems and Commodity Exchanges as intermediaries, it becomes clear that the differences among these market systems stem from the different transaction costs they are aimed at alleviating. Clearly, there can be numerous sources of transaction costs. The choice of a bundle of transaction costs which to be addressed is part of the strategic positioning of an intermediary. Within the complex social-business hybrid value chains, encountered within the agriculture sector of developing countries nowadays, communication costs can form a significant part of the transaction costs. Technology platforms such as Esoko enable, for-profit and non-profit organizations interested in streamlining agricultural value chains by acting as intermediaries, to address communication costs.